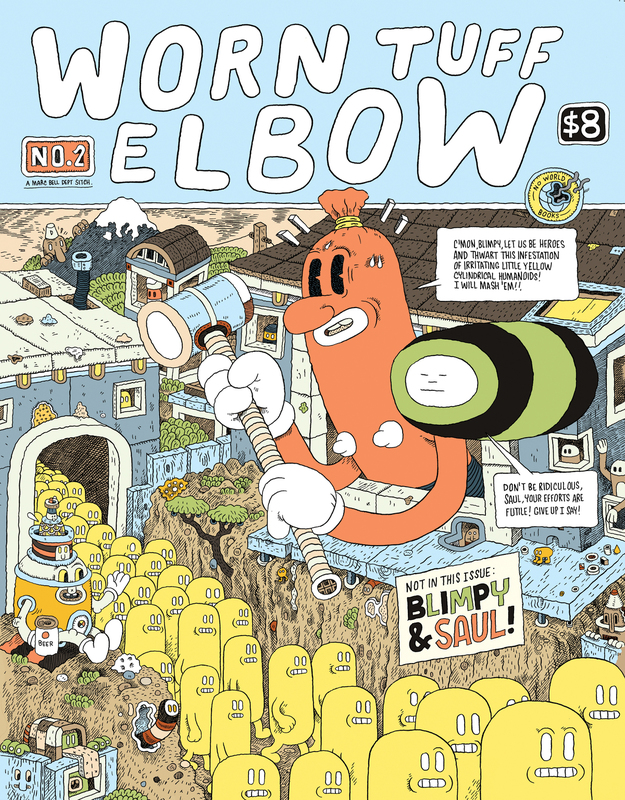 Marc Bell re-ignites that ol’ favourite Worn Tuff Elbow and presents a new exciting issue of this one man anthology! Onward we go as more of his characters are tied together here in his goofball paracosmic world! 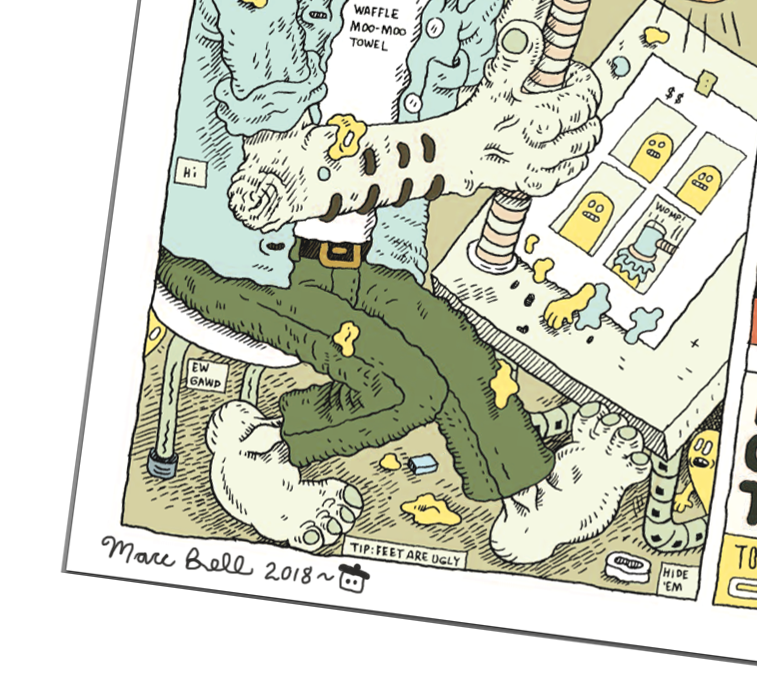 Shrimpy and Paul and Chia-Man make their triumphant return to the comics page in “Tinkle Test”, a tale of personal estrangement and All-Star Schnauzer Band bologna bureaucracy. 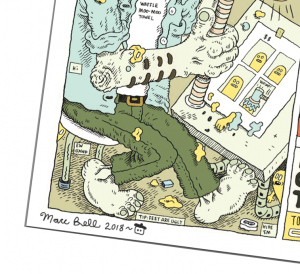 “Bologna Buffet” gives us a rare glimpse into the online dating lives of humanoids that are shaped like caterpillars and bottles. There is also a wonderfully gorgeous tale of Monsieur Moustache’s involvement with the yellow cylindrical characters known as “Remote Villagers” (established circa 1993). Note to consumers: one need not know exactly what happened in *Worn Tuff Elbow* #1 or other Marc Bell comics as these stories are stand-alones that only tie into the bigger whole!